​The information in this guide is intended to help employees identify a temporary staffing agency, initiate a staffing request, and establish a payment vehicle for invoices. Listed below are resources and policies associated with receiving services from a temporary staffing agency. ​Temporary staffing services may be used by campus units to fill short-term assignments expected to last less than 6 months. Staff Human Resources provides guidance and monitors adherence to university/campus policies governing the utilization of temporary staffing services. Campus units are advised to review the SHR Temporary Staffing Services guide here​ and consult their human resources action approver before initiating a staffing request. Submit the supplier's electronic Temporary Staffing Request & Proposal (TSRP). Supplier will email confirmation and work with requesting campus unit to identify the most qualified candidate based on the competencies required for successful performance. When the temporary worker has been identified, the supplier will return the TSRP with additional detail regarding the staffing engagement. The requesting campus unit will then create a purchase requisition using the CruzBuy Temporary Staffing Request Form. The temporary worker can begin the assignment when the CruzBuy purchase order is approved and required background check is complete. Temporary staffing services are typically acquired from providers with which UC has an established systemwide agreement. UCSC's preferred temporary staffing suppliers (listed below) support a simplified ordering process, electronic invoicing and integration with CruzBuy. Note: Using a temporary staffing supplier not listed above requires significantly more time to process. Contact Procurement Services for information about requesting temporary workers from UC contract suppliers not listed above. Santa Cruz Staffing is a locally owned staffing agency in the Santa Cruz area. From Clerical Assistant to Sr. Accountant they can fill your staffing need with highly skilled, qualified and capable personnel. As a federal contractor UCSC has an obligation to advance equal employment opportunity programs covering individuals with disabilities. Expandability recruiters assist the campus in fulfilling its obligation by matching highly qualified disabled temporary workers for administrative, accounting, light industrial and food service positions. Manpower provides temporary workers for administrative, accounting, light industrial and food service workers. To initiate a staffing request click the TSRP form below for the selected temporary staffing supplier, complete the university data fields and submit.  After the temporary worker is selected, the supplier will finalize the TSRP and return the form to the requesting UCSC department. The UCSC department's CruzBuy requester will then attach the TSRP to a CruzBuy requisition which then becomes part of the university's purchase order. Contact your service team in Procurement Services for information about requesting temporary workers from UC contract suppliers not listed above. The CruzBuy Temporary Staffing Request Form contains a field to enter the supplier’s TSRP order number and any associated attachments. Refer to the guide section on submitting a supplier request for information about obtaining a TSRP form if you do not have one. Time Card approval by UCSC is done according to the supplier's procedures - typically an online system for approving hours worked. Instructions for the supplier's timekeeping system are emailed to the temporary worker supervisor with the TSRP form. The supplier will submit temporary staffing invoices to FAST/Accounts Payable for payment following timecard approval by the UCSC department supervising the temporary staff. Contact your Procurement Services team for any ordering or contract-related questions including the identification of best pricing for common temporary staff classifications.